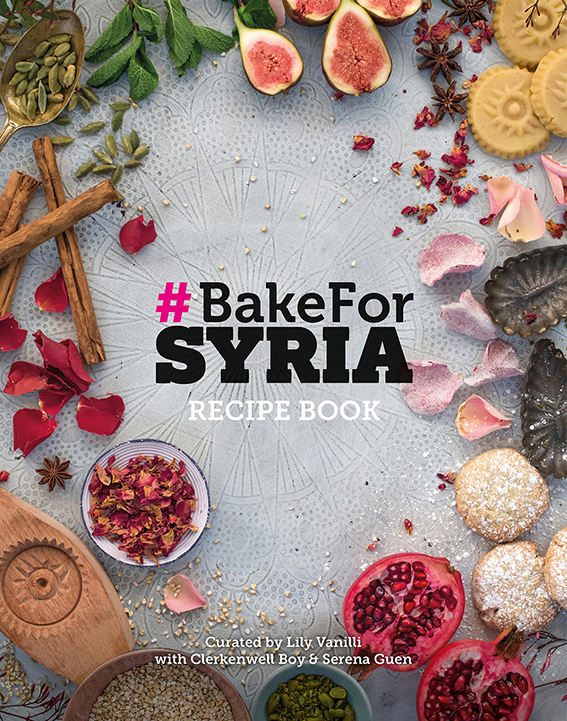 I am extremely excited to finally announce the release for pre-sales of #BakeForSyria the book. Following on from the success of the bake sales we held in the Summer, I have been working on this since November and am elated to see it finally come together. It is beautifully shot, largely by Charlotte Hu and Katie Wilson who were incredibly generous with their time. Thank you to everyone who helped and supported the project, it has been humbling to see so many busy people give up their time for free. It features recipes from Syrian bakers and refugees, some of which have been passed down from generations, alongside some of the very best bakeries and bakers in the world, each contributing a beautiful dish, inspired by and in celebration of Syrian cuisine.